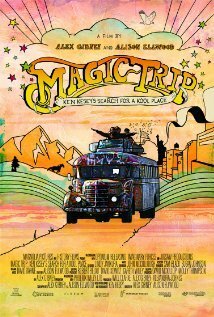 A freewheeling portrait of Ken Kesey and the Merry Prankster's fabled road trip across America. Film Submitted by Sunset77! Thanks Sunset77! Thanks Sunset77 for the movie link. I've been looking for this movie (off and on) for a couple years now. You saved me a trip to the library. For anyone who enjoys this film... I HIGHLY recommend "The Electric Kool-Aid Acid test" by Tom Wolfe. "Acid Test" is hands-down, one of my favorite books of all-time! Available at ANY library... and on Amazon brand-new, for just $10 dollars. Wolfe's book is a must-read for anyone interested in the 60's counterculture! At 10 bucks... there's simply no excuse for not reading Wolfe's book. Read it... you WON'T regret it! You have Lynyrd's personal guarantee of satisfaction! But not to worry... you'll like it for sure. I've fallen way behind with that list. I'll update it, right now. "15 Minute pre-trial... Get premium membership, or watch in poor quality". A large one that says "Get premium membership". The quality doesn't look any different, to me. I saw this while visiting friends just after last years harvest in So. Cal..
Wow, thanx, I didn't really expect the movie to pop up here. Strange things happen the TLB blog world as I'm coming to find out. Also, I didn't know about the "premium membership" deal either. I clicked the "low quality" button also and continued watching, I couldn't tell any difference either. Finally, for future reference, nearly any film can usually be found online, just Google "Name of Film watch online". Many films can be found for free on YouTube. Thanks Sunset. That's good to know! I started watching this but had to stop and do some work. LOL. Looks like a good show. Incidentally, on the thread below about John Friedman, on one of his drawings he wrote Vesuvio on the wall, and it's the name of a saloon in San Francisco, which was frequented by Jack Kerouac and Neal Cassady, who are both in THIS movie. Awesome! Thanks! And Lynyrd, I just ordered a copy of the book...so if I don't like, you owe me $10 bucks...or a beer! I've been trying to get Katie to read "Acid Test" for years. 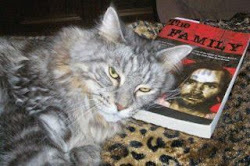 Hi Mary, I hope you enjoy the book. Yes I don't like hippies. I'm a West Texas conservative redneck right winger who was taught to earn every dollar I spend. I remember the 60's quite well. They say if you remember the 60's you weren't there, but I was one of the few who didn't indulge in ANY drugs. So yes I remember it. My 60's consisted mainly of TV shows, first dates, pimples, growing pains (yes I'm tall), missed Proms, being painfully shy, not ever having a date until senior year, first day at school wondering if you'll have anyone to sit by at lunch, sitting behind a guy that I was in love with, yet when he turned around and tried to talk to me all I could do is stare at him and he snorted and turned away, telling the school nurse I was sick so I could ditch cause I couldn't stand it there, driving by the local drive-in to for a cherry coke to look for guys, trying to convince my mother that having a job and going to school was TOO HARD (I lost that battle HA HA), lying in the sun in the summer to tan listening to Moody Blues, buying gas for my '66 Chevy for $.25/gallon, listening to my friends talk about 'Nam and how bad it was, and finally finding out in August 1969 that horrific murders occurred. No one had a clue as to who did it or why. The media made up stories about Sharon, showing clips from her "Eye of the Devil" film and blamed it all on her. That's why I get so steamed about blaming her I guess. Also, the 60's were fake eyelashes, plucking your eyebrows to a single arch, mini skirts, polka dots, plastic white go-go boots, white hose, slicker lipstick (white, yes I actually did this), Yardley fragrances, drawing eyelash lines under your eyes like Twiggy , long straight hair dyed blonde. My mother wouldn't let me bleach my hair, so I put lemon juice on it to lighten it. Didn't work. My hair was too dark. LOL. I'll match Lynard's offer! "Kool-Aid" is such a good read. Too far out not to be true. Hunter Thompson's "Hell's Angels" is a great book about that whole time too! The 60s were ruined by LBJ. I keep going back in my mind about what really went wrong at such a right time and I keep coming up with that damn LBJ. LBL was LFK's biggest mistake. JFK didn't need LBJ to get the white house yet he was told he needed those delegates in Texas. It was those stupid afvisors that put LBJ in the white house and America in Viet Nam. Thanks for the info Lurch!! We'll I'm gonna head to the house. I hope the cease-fire lasts for the blogworld. As Spock used to say "Live Long & Prosper". Another foto moment I'll never get over was Jane Fonda sitting in that Viet Cong AA gun. That was so wrong of her and I believe she did it knowing that she'd be in good favor with the bunch that ran Hollywood. Hanoi Jane was a gift to the Viet Cong. Hanoi Jane got 4 Academy Awards off of that gun terrent and yet she can't act a lick. I still cringe when I see Jane Fonda. She hurt and killed so many people with her reckless behavior. She did as much damage to America as Charlie did. Outta sync here but has anyone ever been able to find where Shorty Shea spent the night of the Aug 16 raid? Even if Retz was the one who initiated the raid it was an obvious tippoff if Shorty only missed staying at the ranch that one night. I noticed several comments here about the 1960's, I was born in 1961, I remember the late 60's. My dad managed a church league softball team, most of the older boys were seniors in high school, they all had draft cards. What I remember of the Vietnam war from the news is about 50 Americans being killed taking some hill and 2 days later Henry Kissinger would give it back in some "peace talks". I decided even then I would never go along with this type of thing. In the early 1990's the 44 billion dollar B-2 bomber program was sitting on the assembly line at the factory. Various politicians "from abroad" to use a Nixon term, were threatening to attack the factory, particularly the "former" Soviet Union. Domestic politicians attempted to "cancel", "delete", "veto" and "bargaining chip" that program. My position was a bit closer to "roll 'em". I did 3 hard years in prison for crossing politicians on that issue and a few others. On the other hand, to this day, whilst I don't know the exact position of each B-2 this very second, (nor do I need to), I know they are "somewhere". One of my favorite memories of the 1960's can be seen right here. Thanks Sunset. I loved that song by so very cute Nancy Sinatra. I love going back in time to remember what life used to be like. I use to practice dancing for hours in front of the mirror: the frug, the boogaloo, the swim, the batman, the jerk....all those dances we thought were so fab! Lurch - I actually had the Hells Angels book and lent it to a friend before reading it...haven't seen it since. Guess a trip to the library is in order. Thanks for the tips on books...my passion. Mr. P, I don't think Shorty lived at the ranch all the time. I think he came and went. Charlie thought it was Shorty who caused the raid because Shorty was talking too much about trying to be rid of Manson & family. Katie after years of doubting Barbara Hoyt i am now inclined to believe her description of Shorty's murder site as being behind the Ranch not by the road. The problem with Hoyt's story is how did the body get to the gravesite? Mr. P., according to Sanders, several of the girls re-buried Shorty down where he was finally found. I guess the first grave was just a temporary one. I don't doubt Barbara's story. She said Shorty was screaming his head off, and by the wounds they discovered on his bones, I can see why. If you hear screams, I don't know if you would be able to pinpoint exactly where they're coming from. Especially if you're awakened by them and are a little disoriented.